This post is sponsored by Nakturnal. My thoughts and opinions expressed here are my own. Thank you for supporting brands I support. I’m starting to pack away some of my summer clothes (not ready to put all of them away yet! ), and getting my closet to be Fall ready. If you’ve ever lived in Chicago, it can easily go from comfortable weather to cold weather. So I’m starting to look into investing in more Fall staple pieces like jeans. I pretty much wear jeans 9 out of the 12 months. Lately, I’ve been swooning over Rag & Bone jeans. 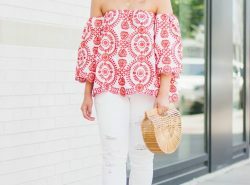 My favorite top bloggers wear them all the time and they look incredible! I love how Jacey from Damsel In Dior wore them with a striped tee. Or how Julia from Gal Meets Glam wore it in a white jean skirt (I’m all about wearing white after Labor Day). 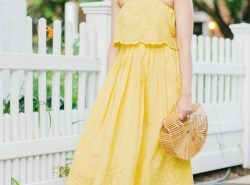 To get myself inspired for Fall outfits and finalize what pieces to buy, I looked at my outfits from last year. Just like what I did last year, I did a round up of my favorite Fall looks from the previous year. That’s how I typically get my inspiration – by picking out my favorites from last year and building on it. So here it is, my favorite outfits from last Fall. I definitely think a lot of these outfits can still be worn this season. Since most of these Fall outfit pieces are no longer available, I did my best to link similar pieces. I also linked the original post in case some of them decide to come back in stock. If you’re new to my blog and noticed that my hair was different last Fall, well you are right. My hair was different. To be more precise, last year I didn’t have hair and I wore my wig for blog photos. Usually when I look back at my photos, I get excited and super inspired. This time around, I did get excited and super inspired, but it also got me emotional. I can’t believe just last year was when my hair started to grow back and that at the time of these photos, I never thought I would ever see my hair grow again. All I had was stubble. So crazy. This entire journey is crazy, scary, and lots of unexpected. Great post! Love all of these looks! Your colour combinations are so good! So many good fall looks! Makes me want to look back at mine from last year too. Great way to get inspiration from your own closet and get ready for the season. I love all your Fall look! Nice! So obsessed with look number four! Loving that combo! Oh I absolutely love that white/neutral outfit! It is STUNNING! Thank you Alissa! It's my top favorite! Loving all of your fall outfits from last year, Rach! Looking forward to see what you're gonna wear this year! Thank you so much V! You've been killing it with your Fall looks! As always looking gorgeous, can't wait to see what new outfits you show! Thank you so much for your kind words! It is definitely bittersweet looking back but so glad to have my own hair! Your oversized cardigan, plaid scarf look from last year is my favorite. I like anything with a scarf or snood when it comes to fall fashion. Thank you Cheryl! Yes a good snood is a must! They are all beautiful but i love the fourth and fifth one. Darling, I love your outfits. The first one is my favorite. I love that three of your looks are very white central – white is my favorite color and it's nice to see it not being ignored in the fall. I just love wearing white! 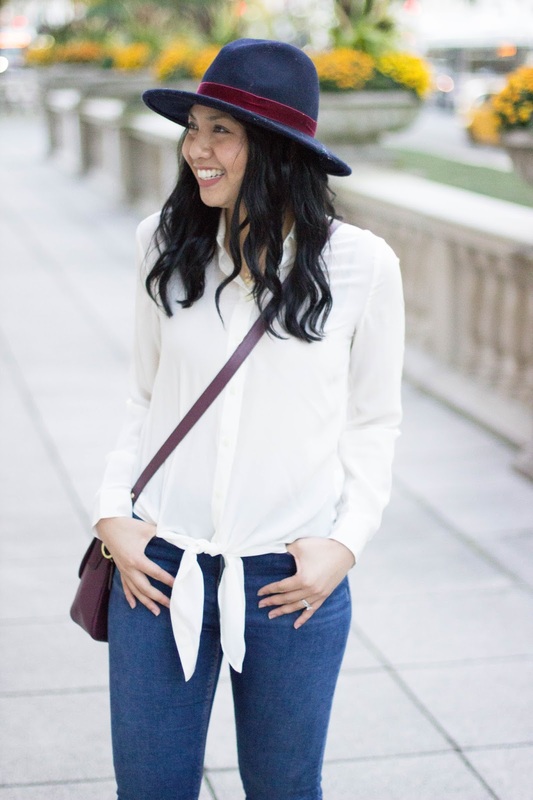 Beautiful fall inspiration outfits! Love everything! These fall looks are all great! I love going back into my archives for inspiration. I highly recommend Rag & Bone Jeans. They fit so well! Awesome! I definitely want to splurge and get a pair! I love everything in here especially the 3rd outfit. The all white look with camel booties, and the fourth one, with that amazing scarf, definitely my favorites!!! Thanks Andrea! I'll try to incorporate more of that this year! Me encantan las propuestas que haces, algunas las he guardado en mi carpeta de inspiración. Glad to see so much has changed with you in a year! So happy you are finally getting ur hair back!! You always look so beautiful! Loving all these fall looks! It is crazy! Thank you Sarah! These are all so cute! I especially love the black and camel combo! It is totally worth the buy! Thanks Jessica! Oh my it was so emotional! Thank you so much Ashley! 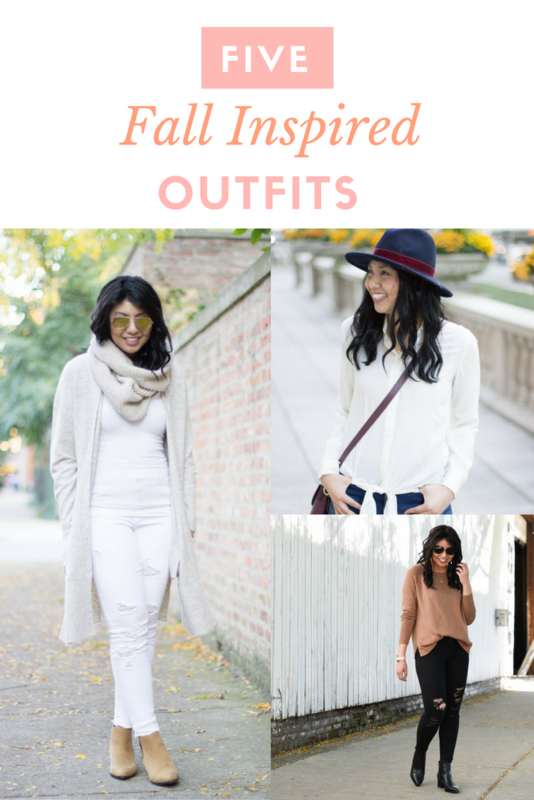 Beautiful and inspiring fall outfits, Love all these outfits ideas, especially that all white outfit have my heart <3 You loo gorgeous by the way. Great Fall outfits inspirations from last year. I adore all the outfits here. Absolutely love all these outfits!! I also love to wear white after labor day. It's the best! I'm also intrigued about your story now after reading your last paragraph, so I'm off to read! Loved the post! I love wearing white after Labor Day! Thank you so much Mary! I LOVE all of the white for fall! So fresh and fabulous! Each outfit is gorgeous, my friend! Me too girl! Thanks Christina! 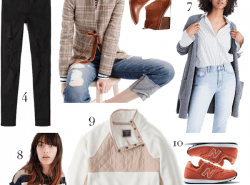 Love every single one of these looks, especially the camel sweater with black jeans and black booties – so chic! Can't wait to see what you put together this year. These were my favourites too! Great looks. This post has me so excited for fall! Loving all of your layers! I know, I'm so excited for Fall! Your fall outfits from last year were so stylish! I can't wait to see what you style this year! Also, I loved your longer hair! Thank you Tina! I hope it gets to that length soon haha! So many good knits here! I can't wait to pull out all my sweaters and scarves. Thank you April! That sounds amazing! This post has me so ready for fall! It's eight degrees where I live and I'm about to just wear my sweaters despite the heat! I'm sure the weather there will feel like Fall soon. Thanks Megan! Oh, I think the camel and black is my fav!! You look so cute in a hat too! The full neutral look and the oversized cardigan look are my two favorites! I wouldn't mind stealing that cardigan and scarf haha. The first one is my favorite. Love that you rocked an all-white look for fall! Also the last one is a good inspo! Love that sweater! These are all wonderful looks! I am especially in love with the hat from the second look and the entire last look with the camel sweater. What great fall colors! I'm so happy that you inspired yourself! You've been through a lot lady and have come out on the other side! I love all of these looks, especially the skirt and boots look! You're getting me excited for fall!